How to Scan Documents With Your iPhone in Three Quick Steps? How do you scan documents with your iPhone? 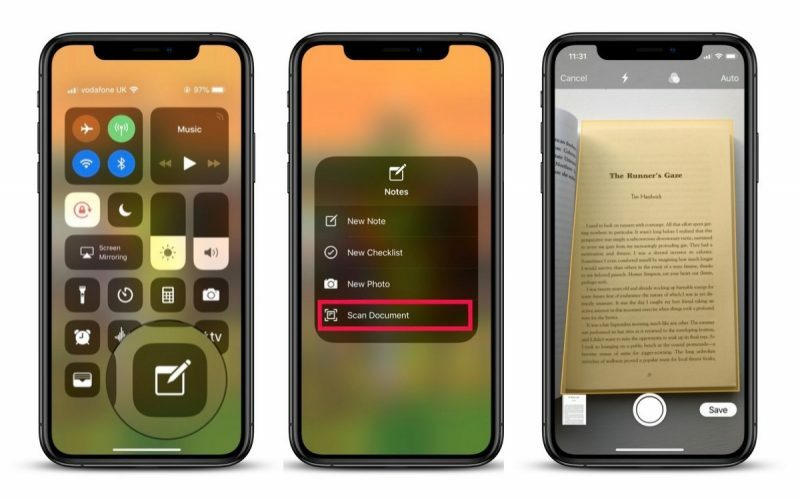 Well, the most obvious answer is the document scanning feature found in Apple’s stock Notes app is a great way to digitize all sorts of print-based content, from letters and receipts to recipes and photos. If you often make a digital record of paper in this way, you’ll be familiar with the typical steps involved: 1) unlock your device 2) launch the Notes app from the Home screen 3) create a new note 4) tap the “+” button 5) choose Scan Documents 6) line up the document you want to shoot and 7) save. It’s not immediately obvious, but there is a way to cut out several of these steps and make scanning a document a much quicker process, which is great news if you tend to scan things several times a day. Long press the Notes icon. If you want to generate a PDF of the scan as soon as it’s been saved as a note, simply tap the Share Sheet icon (the box with an arrow pointing out) at the upper-right of the screen and select Create PDF from the third row of options.